Dr. Kathleen O’Neil-Smith is an internationally recognized clinician, educator, and consultant in the field of integrative medicine. 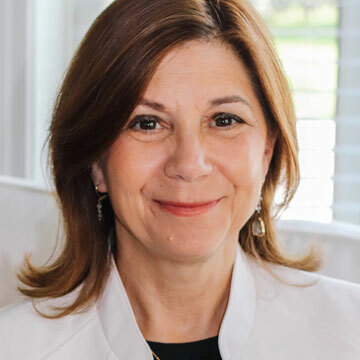 She is best known for her expertise in personalized integrative therapies for underlying chronic issues that keep people from feeling healthy and vibrant. Dr. O’Neil-Smith completed an internship in pathology at Massachusetts General Hospital and an internship and residency in internal medicine at the Brigham and Women’s Hospital in Boston. In 2008, she completed a two-year fellowship and was board certified in regenerative medicine through the American Academy of Anti-Aging and Regenerative Medicine (A4M). In addition, she did fellowships in stem cell therapy (at A4M) and advanced treatments for traumatic brain injury (at AMMG). She has served on the faculties of Tufts University’s and Boston University’s medical schools. She competed on and later coached the United States Women’s National Rowing Team and continues to race every year at the renowned Head of the Charles Regatta in Boston. Dr. O’Neil Smith is a compassionate, innovative, inspirational physician who is dedicated to offering the most cutting-edge safe therapies to her patients and helping others do the same.